where the <username> is the name of Windows User. By default, the folders and files are hidden. You have to unhide the folder from the folder options and have to select Show all hidden folders and files. Before getting into the Configuration of ClientUserSettings.config file, let us first understand the ClientUserSettings.config file in Detail to help build better understanding of what this file does. Server: In this field, the name of your server which is running the Microsoft Dynamics NAV Server and you want to access is to be mentioned here. Client Services Port: In this field, you have to mention the listening TCP Port for the Microsoft Dynamics NAV Server Instance that you want to connect. Server Instance: In this field, you have to mention the name of the Server Instance that you want to connect to. 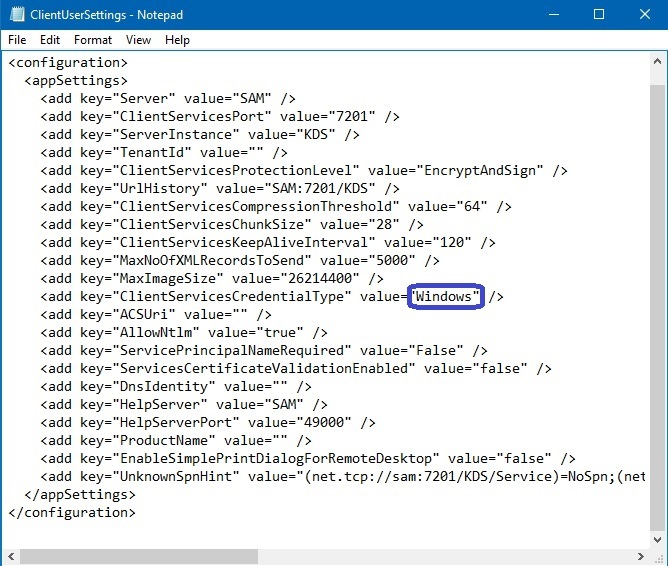 "Computer Name:Client Port Number/Server Instance Name"
Client Services Credential Type: This is the field where you mention method of Authentication while connecting to the Dynamics NAV Server. Here you will put the value as "NavUserPassword" to open the RTC with the NavUserPassword Authentication type. Services Certificate Validation Enabled: It field which you can either put True or False based on whether you want to enforce validation of the certificate or not. Dns Identity: In this field, you have to mention the name of the Service Certificate you have created. Watch the Video to get more understanding if the process is still not clear. 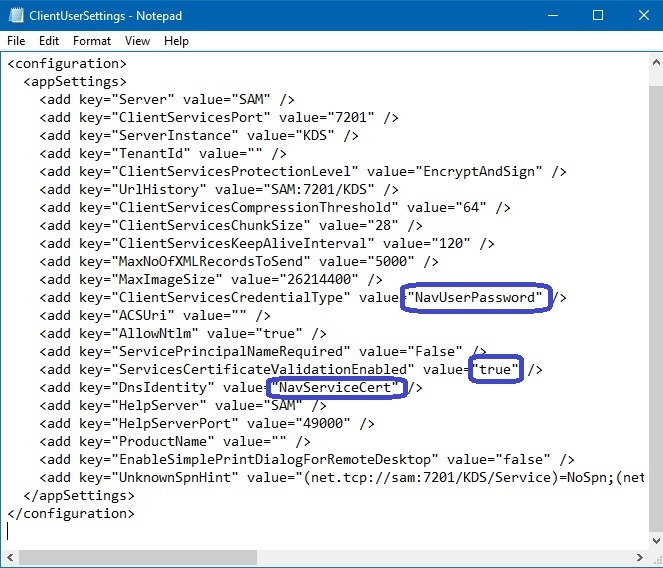 Client Services Credential Type: In this field, to open the RTC using Windows Authentication, remember to put the value as "Windows". 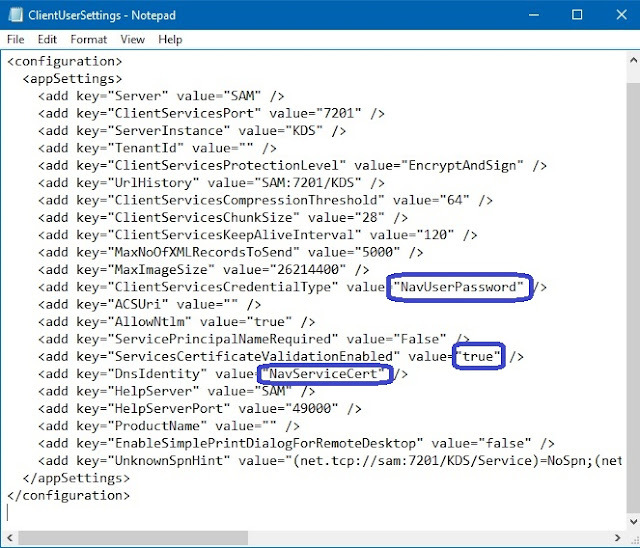 Services Certificate Validation Enabled: This boolean field will be False as we are opening the RTC using Windows Authentication so we don't need Services Certificate Validation. 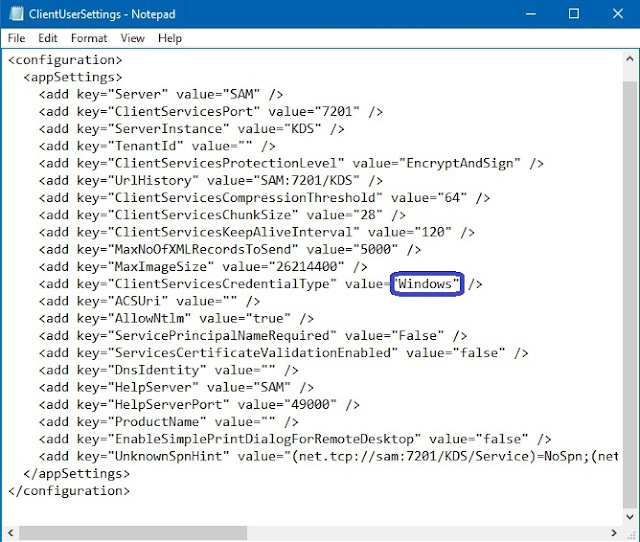 Dns Identity: The DNS Identity field have to be left blank as we don't require Certificate in the Windows Authentication method. I am sure that you find this post useful. Please Follow us on Social Platforms to keep getting updates like these. Subscribe to our Newsletter to get feeds on your mail. Keep reading and Have a Nice Day! is it also possible to add the Company in this configfile?